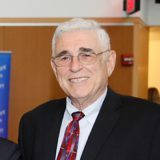 Ilan Troen is the Karl, Harry, and Helen Stoll Chair of Israel Studies at Brandeis University where he was founding director of the Schusterman Center for Israel Studies. He was previously director of the Ben-Gurion Research Institute for the Study of Zionism and Israel at Sde Boker, Israel. He has authored and edited numerous books on Israeli, Jewish and American History including Divergent Jewish Cultures: Israel and America, with Deborah Dash Moore (Yale, 2002); Imagining Zion: Dreams, Designs and Realities in a Century of Jewish Settlement (Yale, 2003); Jews and Muslims in the Arab World; Haunted by Pasts Real and Imagined with Jacob Lassner (Roman and Littlefield, 2007); Tel Aviv: The First Century; Visions, Designs and Actualities, with Maoz Azaryahu (Indiana, 2011); Zionism in the Twenty-First Century, with Donna Robinson Divine (Indiana, 2014); Essential Israel; Readings for the 21st Century, with Rachel Fish (Indiana, forthcoming 2017). He is the founding editor of Israel Studies, a leading international journal in the field, published by Indiana University Press to which more than 3,400 university libraries worldwide subscribe. He has been published in English, Hebrew, German, Chinese and Japanese. He is presently president of the Association for Israel Studies. He takes a strong interest in debunking the BDS narratives and is a representative of Ben-Gurion University on the Israeli inter-university committee on BDS.